Help choose the cover of the next book! 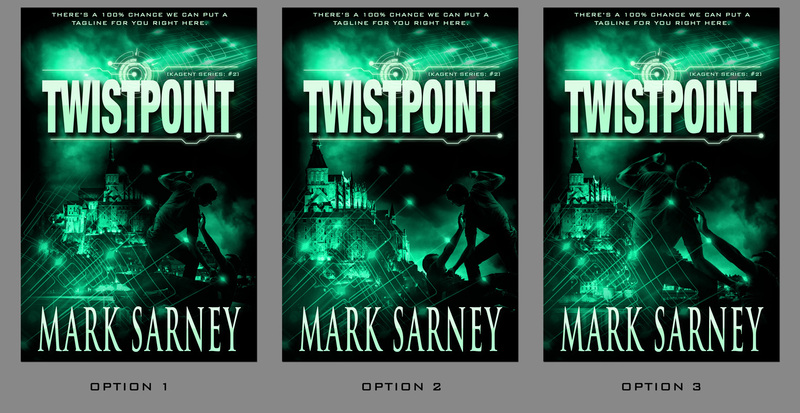 The next book,Twistpoint (Kagent Series: #2) currently is surrounded by AI-operated robots who are hammering it together right at this moment. I want you to help pick the cover. Thanks to the good folks at Streetlight Graphics for creating these book covers. Now, it’s the second book in a trilogy, so the cover follows the same kind of themes and elements of the first. And yes, the cover’s image has something to do with a pivotal moment in the book.